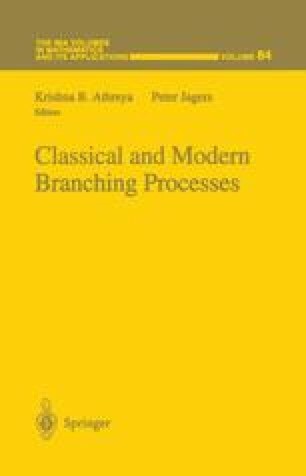 We give complete proofs of the theorem of convergence of types and the Kesten-Stigum theorem for multi-type branching processes. Very little analysis is used beyond the strong law of large numbers and some basic measure theory. AMS(MOS) subject classifications. Primary 60J80. *Research partially supported by two Alfred P. Sloan Foundation Research Fellowships (Lyons and Pemantle), and NSF Grants DMS-9306954 (Lyons), DMS-9300191 (Pemantle), and DMS-9213595 (Peres).